March is National Kidney Cancer Awareness Month and is a good time for each of us to think about one of the hardest working organs in our body. Each day, our kidneys filter 200 liters of blood a day, help regulate blood pressure and direct red blood cell production. But, like any organ, they are also prone to disease, one of which is kidney cancer. Kidney cancer is one of the top 10 most common cancers diagnosed in the United States. In 2019, the American Cancer Society estimates that about 73,820 new cases of kidney cancer will occur and about 14,770 people will die from this disease. If the cancer is caught at an early stage (stage 1 or 11) there is a 75-80 percent survival rate. · Men are two times more likely to develop kidney cancer than women. It is estimated that 1 in 63 people will develop kidney cancer in their lifetime. · The risk of kidney cancer increases with age and is uncommon before the age of 45. Kidney cancer occurs most often in people 55 and older with the average age of diagnosis being 64. · People who smoke are twice as likely to develop kidney cancer as nonsmokers. Obesity and consuming a high-fat diet also increases risk. · Kidney cancer is a not a single disease. There are a number of different types of cancer that make up kidney cancer, each with a different histology, a different clinical course, a different response to treatment and caused by a different gene. · Well established risk factors for renal cell kidney cancer are obesity and hypertension. Running and walking may reduce the incidence of kidney cancer risk, independent of its other known risk factors. · Some signs of kidney cancer may include a constant back ache, fatigue, unexplained weight loss, loss of appetite, blood in urine, a mass or lump that can be felt on the lower back or side, swelling of ankles and legs, and an intermittent fever. · Analgesics including acetaminophen and non-aspirin NSAIDs (non-steroidal anti-inflammatory drugs) are associated with significant risk of developing kidney cancer. · There are four types of kidney cancer – renal cell carcinoma, transitional cell carcinoma, Wilms tumor, and renal sarcoma. · Wilms tumor, also known as nephroblastoma, almost always occurs in children. About 80-90% of Wilms tumor patients with a favorable histology can be cured. In Wilms tumor, one or more tumors are found in both kidneys. · Renal cell carcinoma accounts for about 90 percent of kidney cancers. It arises from the lining of the tiny tubules inside the kidneys that filter blood and make urine. It usually grows as a single mass within a kidney. Occasionally there are two or more tumors in one kidney or even tumors in both kidneys at the same time. · Transitional cell carcinoma account for about five to 10 percent of all kidney cancers. This type of cancer does not start in the kidney but in the renal pelvic which is where urine goes before it enters the ureter. · Renal sarcoma is the most rare kidney cancer and accounts for just one percent of all kidney cancer cases. 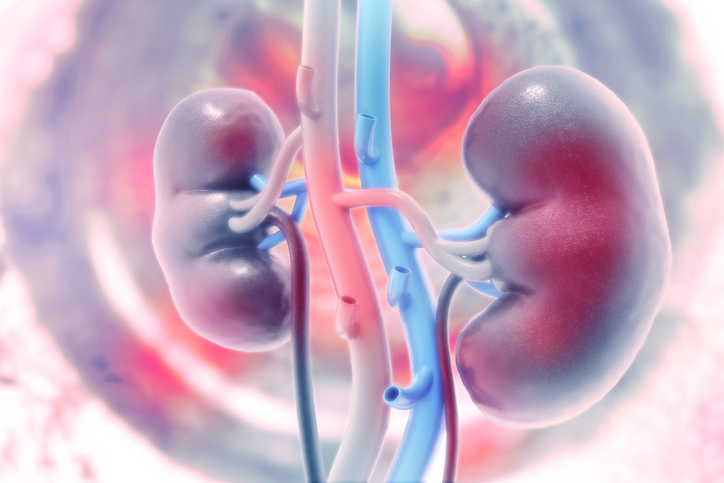 · While the rate of people diagnosed with kidney cancer has been slowly rising since the 1970s, the death rate has been slowly declining since the 1990s.